Prime Minister Moses Nagamootoo underwent heart bypass surgery Tuesday and is recovering, his wife, Sita, said. “We would like to thank everyone for your prayers and would also like to inform you that our dad ( Prime Minister Nagamootoo) is out of surgery and is in recovery. Surgery was successful and we will keep you informed. Thank you all again for your prayers,” Mrs Nagamootoo and her children said on the veteran politician’s Facebook Page. The Prime Minister, who is 70 years old, underwent heart bypass surgery in the United States. The Alliance For Change has said that doctors identified the heart condition during Nagamootoo’s routine check-up. 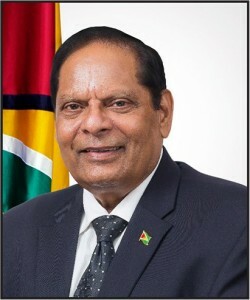 Nagamootoo left Guyana several days and government on Monday announced that he would have underwent heart bypass surgery on Tuesday.